I’m going to tell you about a unique experience I had a few days ago here in Ibiza, in one of the most exclusive places of the island. Together with my colleagues bloggers, I was invited to discover a charming place, the Beauty salon Princesa de Sal, inside Ibiza Grand Hotel, where we were greeted by the charming Eva María Amador and Esther Cantabella who have accompanied us throughout the morning letting us to discover the philosophy of this beauty center truly unique to Ibiza and specialised in hairdressing, as well as in manicure and pedicure. 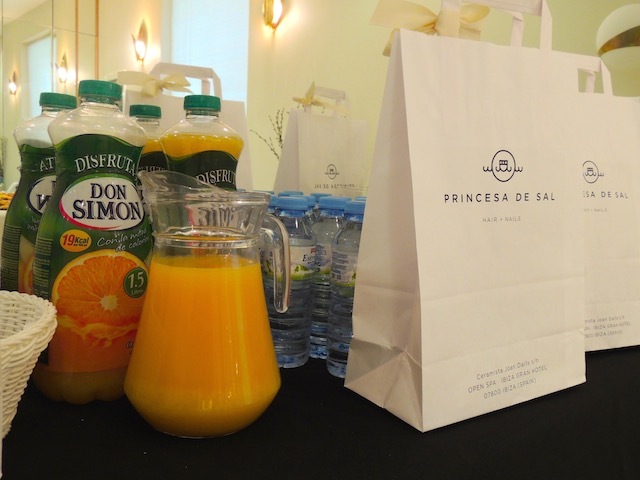 It was very interesting and pleasant to listen to Eva and Esther and to find out that most of the products used in Princesa de Sal are natural and coming from important researches like for example cosmetics of Jane Iredale or the Per Purr products. 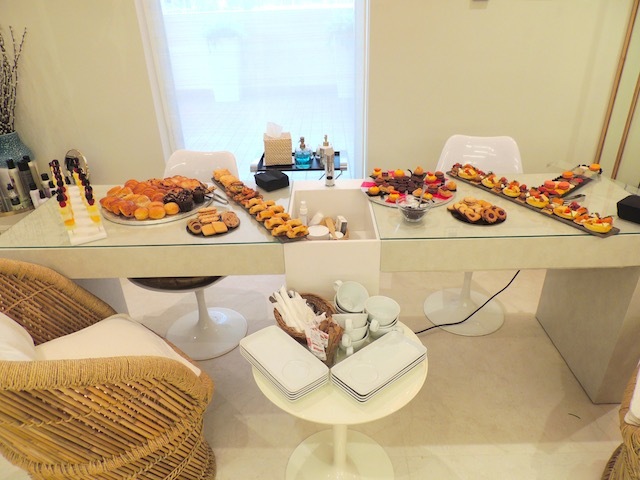 During this unique experience in Princesa de Sal Ibiza we could enjoy the delicious buffet by Mediterranea patissery and everything was perfectly organised by Imam Comunicacion. But the best thing I have yet to tell you. I could experience firsthand a very special treatement called “Bring me to the clouds” which is a unique pedicure with peeling, reflexology and massage. I have to say that it was simply wonderful and extremely relaxing. Regarding all the commitments and responsibilities I have encountered lately, it was a precious gift for which I am very grateful. As always, when I try something special – I recommend it to you, so if you come to Ibiza, get treated like a princesses here, at Princesa de Sal. Hola a todos mis queridos!! Hoy os quiero hablar de una maravillosa experiencia que tuve hace unos días aquí en Ibiza en uno de los lugares más exclusivos de la isla. Nos invitaron con mis colegas blogueras de Ibiza para descubrir un lugar encantador, el centro de Belleza Princesa de Sal, que se encuentra en Ibiza Grand Hotel y donde fuimos recibidas por Eva María Amador y Esther Cantabella. 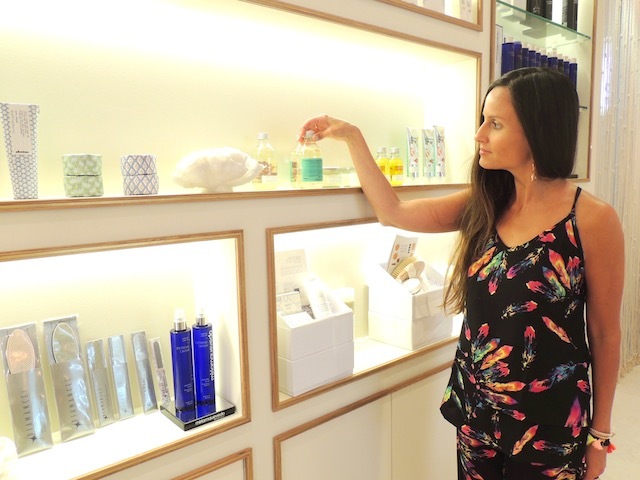 Fue muy interesante a descubrir la filosofía de este centro de belleza único en la isla, en particular para manicura, pedicura y cuidado del cabello. Eva y Esther nos contar sobre todos los tratamientos y que los productos que utilizan son de la mejor calidad como los de Jane Iredale o naturales como los productos Per Purr. 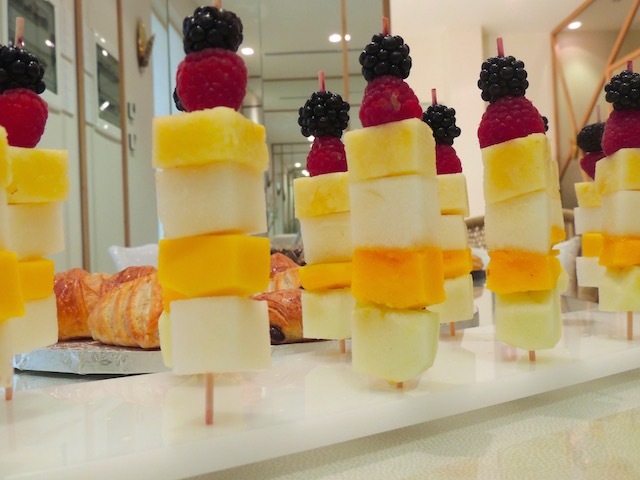 Pudimos disfrutar de un desayuno riquisimo por la pastelería Mediterránea y todo gracias a la perfecta organización del Imam Comunicacion. Pero ahora os cuento lo más bonito. He experimentado de primera mano un tratamiento muy especial llamado “Llévame a las nubes” una pedicura con peeling, reflexología y masaje. Sólo puedo decir que fue maravilloso y muy relajante, y teniendo en cuenta todos los compromisos que tengo en este último periodo fue un regalo precioso al que estoy muy agradecida. Un gracias especial a Linnett. Así que si queréis un momento de Princesas, el equipo de Princesa de Sal os espera. I wish an Happy 15th of August! In Italy we call it “Ferragosto”- Feriae Augusti, the holiday of the Emperor Augustus! Buon Ferragosto-feriae Augusti- a tutti! It is always a great honor and pleasure to me, whenever I can wear very qualitative and elegant clothes by Kurru Kurru Ibiza. 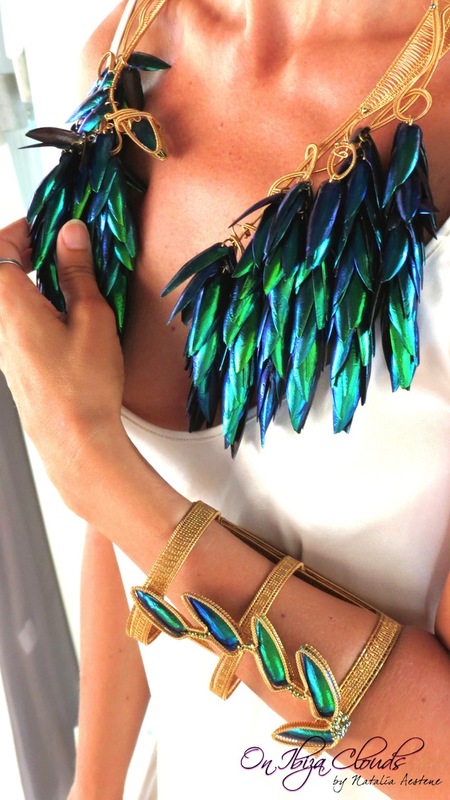 It is without mentioning the sympathy and kindness of the creator of this incredible brand – Marinela Cifteli. I’ am always more than happy to accept her invitation and spend a very pleasant afternoon in her pop-up store at the club Coco Beach in Playa d’en Bossa, where you can find her from Friday to Sunday, to admire, try on and buy to make a nice gift of one of her creations. You know that I love very much the fashion and style of Ibiza, but for special occasions and elegant evenings I find this style so finely elaborated. It is pure perfection and with each one of these dresses, I felt like a princess ready for a big event. 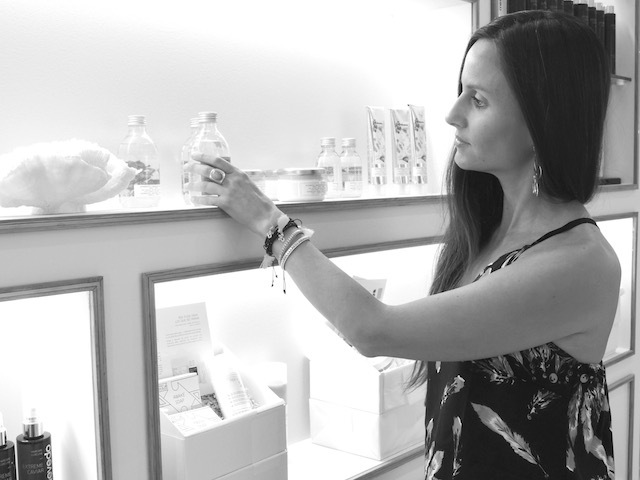 I remind you also that every Thursday at her boutique continue afternoons & Fashion Fusion from 17 to 22, so if you are in Ibiza do not miss the opportunity for a high quality shopping. Per me sempre un piacere e un grande onore quando incontro e posso indossare la qualità ed eleganza degli abiti di Kurru Kurru Ibiza anche grazie alla simpatia e amabilità della creatrice di questo incredibile brand, Marinela Cifteli. 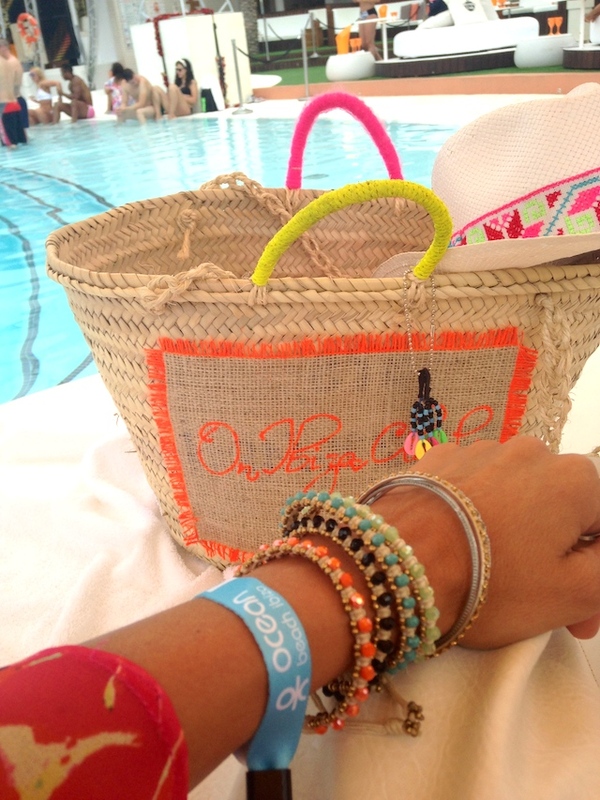 Son sempre ben felice di accettare i suoi inviti ed abbiamo trascorso un gradevole pomeriggio nel suo pop up store presso il club Coco Beach di Playa d’en Bossa dove la potrete trovare dal venerdì alla domenica ed ovviamente ammirare, provare e farvi un bel regalo con una delle sue creazioni. Sapete bene che amo molto la moda di Ibiza, ma per le grandi occasioni e serate eleganti trovo che questo stile così finemente elaborato, è la pura perfezione e con ognuno di questi abiti mi sono sentita come una principessa pronta per una grande occasione. Vi ricordo anche che ogni giovedì presso la sua boutique continuano i pomeriggi Fashion&Fusion dalle 17 alle 22, quindi se siete ad Ibiza non perdetevi l’ occasione per uno shopping di alta qualità. 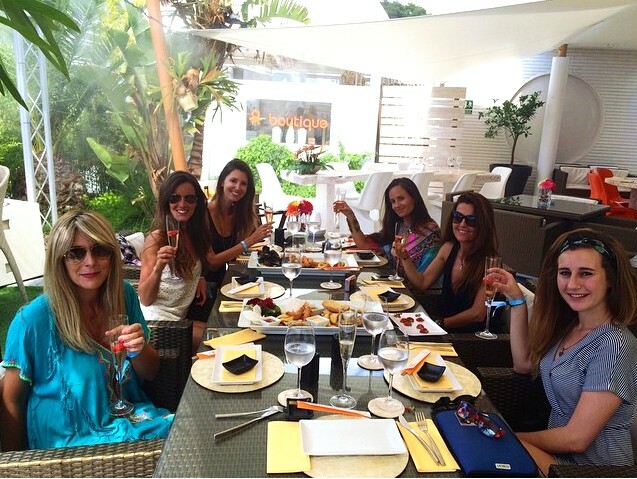 Today I’m here to tell you about a very special event to which I was invited, and that allowed me to know my beautiful and talented colleagues bloggers from Ibiza: Ana Vide creator of Ibiza Rocks me, Monica of Loving my step, Veronica of Ibiza Chic Complements and Judith of Ibiza Trendy. Thanks to the idea and creativity of Monse Monsalve from Imam Comunication we have spent together a fantastic afternoon at the hottest and glamour club of San Antonio – Ocean Beach. 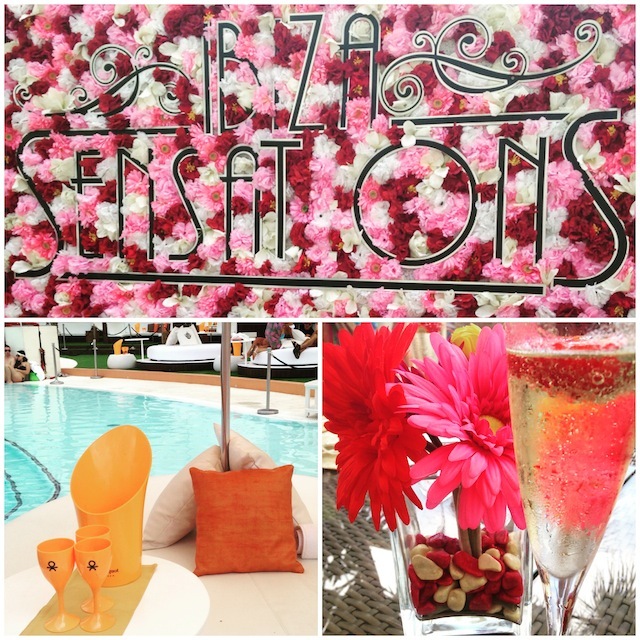 Immersed in its peculiar colors: orange, white and pink flower decorations of the party “Ibiza Sensations”, we were welcomed like princesses in this club an icon in the panorama of Ibiza’s luxury holiday which is overlooking the beach of S ‘Arenal in the famous bay of San Antonio. 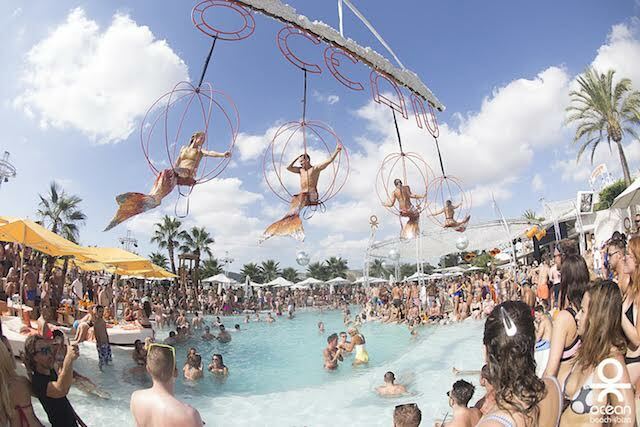 International DJs, music, spectacular shows and dancers transform the club into an open air theater, the perfect place to spend a day bathed in Mediterranean sunshine, dance, have fun and enjoy the sunset. 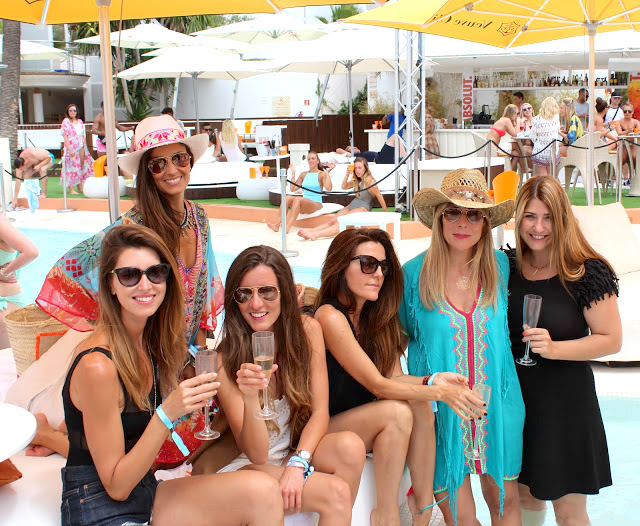 Starting with a delicious aperitif in VIP chill out zone in the huge swimming pool of 600 square meters, we could share our thoughts about Ibiza, it’s lifestyle and it’s fashion which is expanding internationally now. A little bit later we tasted an excellent lunch in the restaurant by the pool with a really fabulous menu, from sushi and Asian cuisine to the Italian one, with many dishes perfect for vegetarians like me. So it was a perfect day and I can honestly say: if you come to Ibiza I recommend it a lot. A kiss and see you soon! Grazie all’ idea e alla creatività di Monse Monsalve di Imam Comunication abbiamo trascorso insieme un fantastico pomeriggio presso il club più in voga e glamour di San Antonio: l’ Ocean Beach. 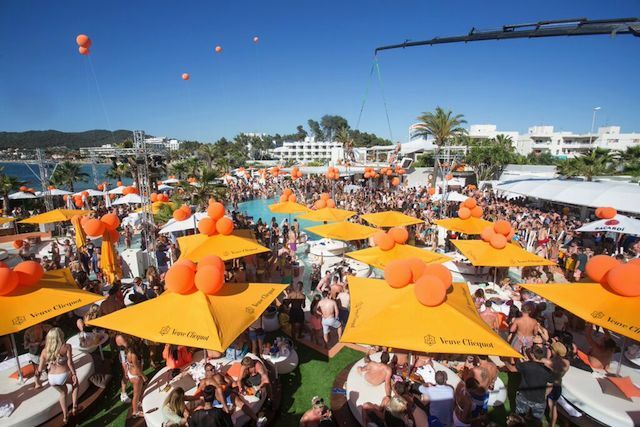 Immerse nei suoi peculiari colori arancione e bianco e le decorazioni di fiori rosa della festa “Ibiza Sensations”, siamo state accolte come delle principesse in questo club già icona del panorama della festa di lusso Ibizenca e che si trova affacciato sulla spiaggia di S’ Arenal nella famosa baia di San Antonio. Djs internazionali, Musica, show spettacolari e ballerine, trasformano il club in un teatro a cielo aperto, il luogo perfetto per passare una giornata baciati dal caldo sole del Mediterraneo, ballare, divertirsi e godersi il tramonto. 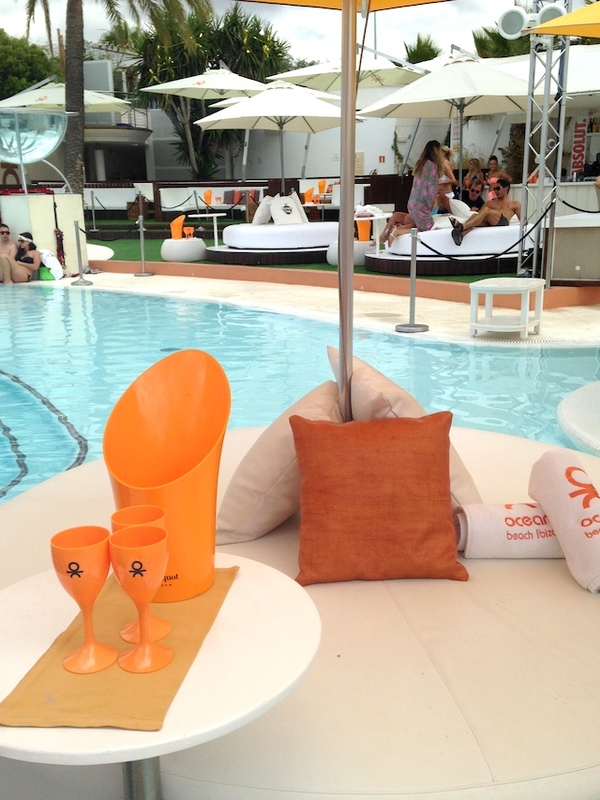 Iniziando subito con un delizioso aperitivo nel chill out vip nell’ enorme piscina di 600 mq, abbiamo potuto condividere i nostri pensieri su Ibiza, sulla sua lifestyle e sulla sua moda che si sta espandendo ormai a livello internazionale. Abbiamo in seguito potuto deliziare di un ottimo pranzo nella zona ristorante ai bordi della piscina con un menù veramente favoloso, dal sushi e dalla cucina asiatica fino a quella italiana, perfetto anche per i vegetariani addicted come me. Insomma direi la giornata perfetta e quindi se venite ad Ibiza ve lo consiglio tantissimo.